Coming soon from Concordia Publishing House, the Chemnitz-Andreae Church Order shows not only what those who confessed the Augsburg Confession believed, but also how the Lutheran Reformation put that faith into action and handed down the faith by means of orderly worship, church governance, and education. 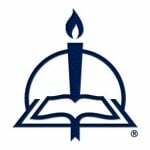 The following excerpt describes the services that were held in order to teach the catechism to congregation members, their children, and their servants. 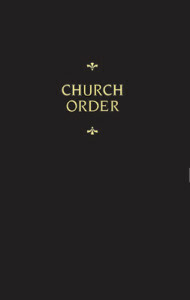 Because in many churches there is a useful and salutary order according to which a children’s sermon is held once during the week—boys and girls being there accustomed to learn and recite the Catechism, with the brief explanation, by heart—we desire that this be done in all churches of our principality on Sundays before Vespers, as follows here, so that children may be brought up in the fear of God and learn the Catechism in good time. And each housefather shall be responsible for sending his children, both boys and girls who are of age, to this sermon. Maidservants and manservants shall also attend and be supported in doing so by the lords and ladies of their house. On Sunday afternoon at one o’clock a small bell shall be rung, and then the schoolchildren shall read the Catechism, beginning by singing one or two German psalms; or the Ten Commandments or the Our Father, etc. ; Christ unser Herr zu Jordan kam, etc. ; and the like. And the other children and servants shall learn to sing along in church. After this, each Sunday, one of the preachers or deacons, as they will arrange among themselves, shall ask the children several questions successively regarding the doctrine of the Catechism, and have them recite it to him from memory—likewise, the explanation—which the children shall learn and recite word for word from Dr. Martin Luther’s Small Catechism. In the same way, on the next occasion let him take another section of the Catechism, [and so on] to the end. And whenever the Catechism is ended, it shall be begun again, and so practiced continually. But if on account of other tasks preachers do not have time to preach the Catechism on Sunday, it shall be done on a weekday. Yet when it is done on Sunday, Vespers shall be rung after the children’s sermon, or at two o’clock otherwise, and the schoolchildren shall sing one or two Latin psalms consecutively and in order as they are found in the Psalter; after that, the Lesson, the Ten Commandments, the Creed, the Our Father, etc., in German. Next, the Hymn of the Time is sung, at times in German, at times in Latin. Then a sermon on the Epistle of the Sunday or festival shall be given. Or a preacher may select an Epistle of Paul or another and preach through it successively on Sunday afternoons. After the sermon, the Magnificat is sung, sometimes in German, sometimes in Latin. Thereupon a Collect is read, and the service concludes with the Benedicamus Domino. (In the villages, as noted below, Vespers on Sundays shall begin, without variance, at one o’clock, one or two psalms shall be sung in German, and afterward the children shall be taught the Catechism. And when this has been done, the preacher may explain a section of the Catechism to the older people. After this the Magnificat or Nunc dimittis may be sung in German and the service concluded with a Collect.) In particular, however, pastors are to exhort the people to be diligent in attending church themselves, as well as to have their families and children attend. Mayors and councils in the cities—and our magistrates, officials, and administrators in their districts—where not required by a special and legitimate need, shall be exempted from their duties and everywhere keep a close watch so that during the sermon and Divine Service, in the afternoon no less than in the morning, no banquets, public drinking, revelry or carousing, nor strolling through the cemetery may be permitted; nor any brandy or beer be sold during the sermon; nor, where there are scales, anything be weighed; nor any other business be transacted; nor the shops be opened. They shall earnestly forbid such things and have it announced from the pulpit. And where this is violated, they shall punish both vendor and customer and, if necessary, put them in jail as an example to others, so that such wayward, unchristian activity may be suppressed. Additionally, every Sunday, before the morning and afternoon sermon in both cities and villages, the words of the entire Catechism shall be clearly recited to the people, including the Brief Form of Confession, so that the common man may learn to confess his sins to God Almighty and to conduct himself honestly in confession. From Chemnitz’s Works: Church Order, pages 93–95 © 2015 Concordia Publishing House. All rights reserved.